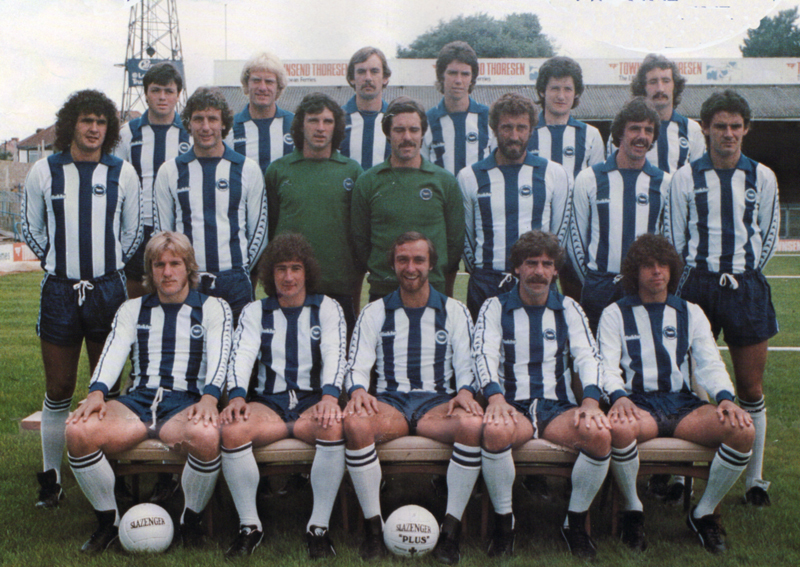 A rarely seen Albion team photo for 1979/80, but look who’s over yonder, there a-yawning? Why it’s first choice keeper Graham Moseley! It was given to me by a family member who didn’t appreciate it, as he is a Chelsea fan. I took it to a far better place and now hopefully will be hung somewhere at home. This family member trained with albion at some point but never went on to play pro. Looks like Moseley had been at the Hove Park Tavern the night before. Good lad!! Back row: Giles Stille, Teddy Maybank, Malcolm Poskett, Gary Williams, Mike Kerslake, Gerry Ryan. 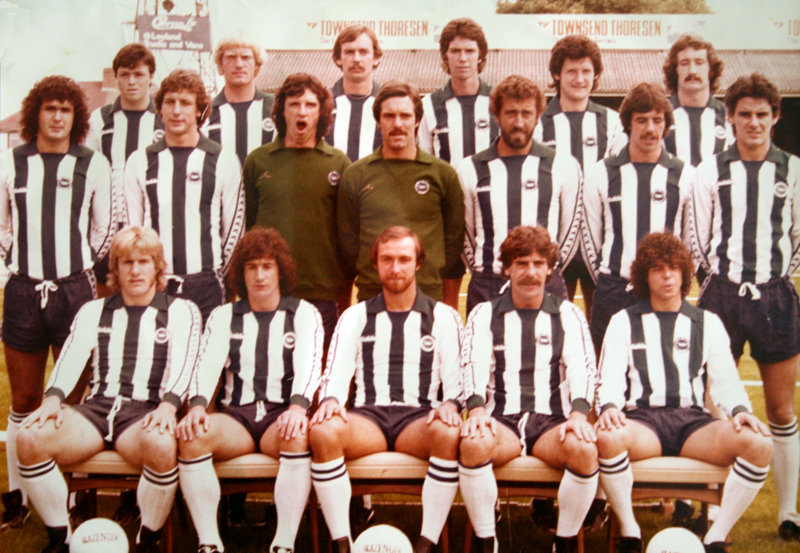 Middle row: Steve Foster, Andy Rollings, Graham Moseley, Eric Steele, Martin Chivers, Mark Lawrenson, John Gregory. Front row: Paul Clark, Peter Sayer, Brian Horton, Peter O’Sullivan, Peter Ward. Despite Moseley’s sleepiness here, it certainly wasn’t a boring season as Brighton proved themselves worthy competitors in their debut campaign in the First Division. By mid-September, many fans would have given up on filling in the results, especially with the Seagulls regularly getting beaten by this point. Credit to the original owner of the wallchart for taking the time to complete the stats to the season’s close! Your line-up for the photo lists Gary Williams twice. The guy far right of the middle row is, I believe, John Gregory. Thank you. Spot on. And well spotted. I will now correct it! He Shot. He Scored. It Must Be Peter Ward. 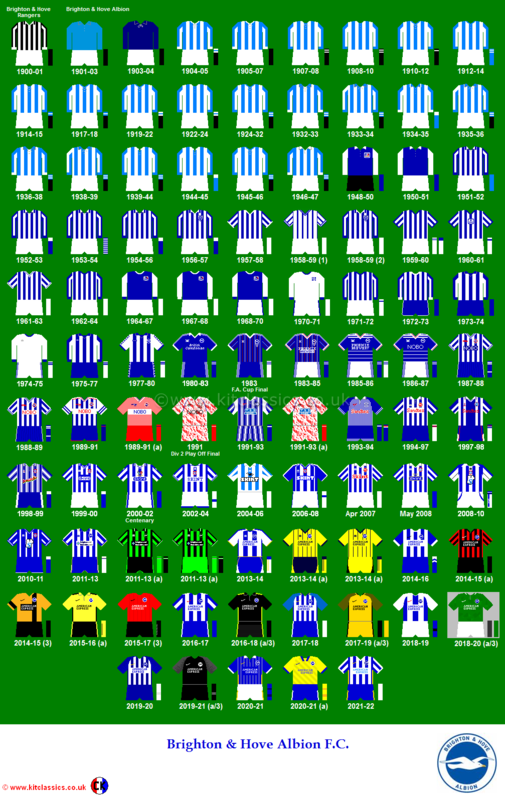 This is a repository of retro articles and photos about Brighton & Hove Albion during the 1970s, 1980s and 1990s that may eventually make their way into the other pages of www.seagulls.tv once I have found a place for them. 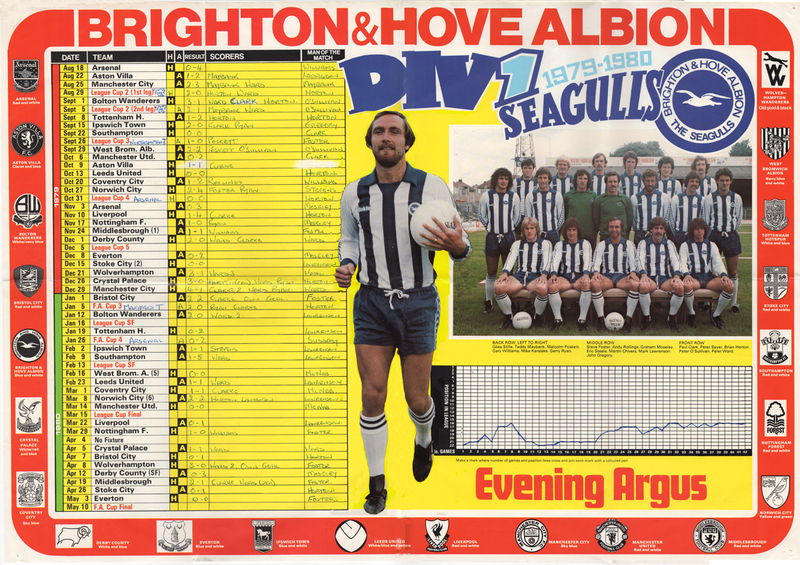 The blog will feature Brighton & Hove Albion-related magazine cuttings, photos, football cards, excerpts from match programmes, leisure wear, fixture cards, and other bits and pieces from yesteryear. The articles will be succinct. I will let the images evoke your memories rather than write essays. Whether you remember collecting Panini football stickers when Brighton were a force in the top flight or gathered some souvenirs from the final match at the Goldstone, I hope they’ll be some stuff here of interest to you. adding .com at the end.